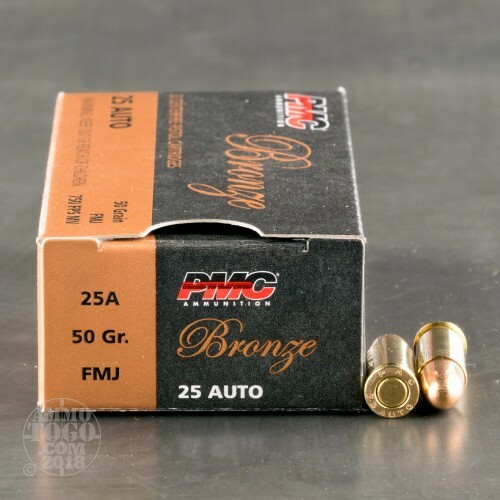 This is .25 Auto PMC Bronze 50gr. 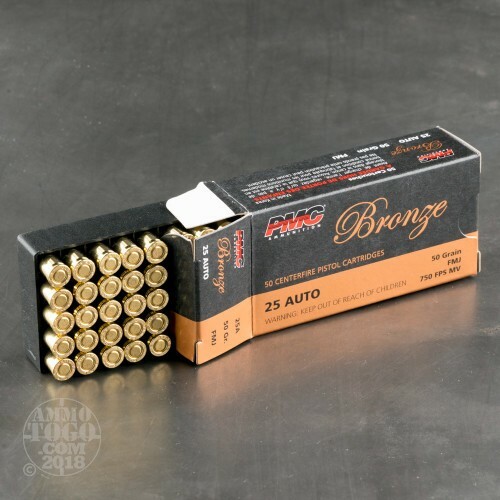 FMJ Ammo. Lead core is enclosed by a strong metal jacket on this non-expanding, deep penetrating bullet. 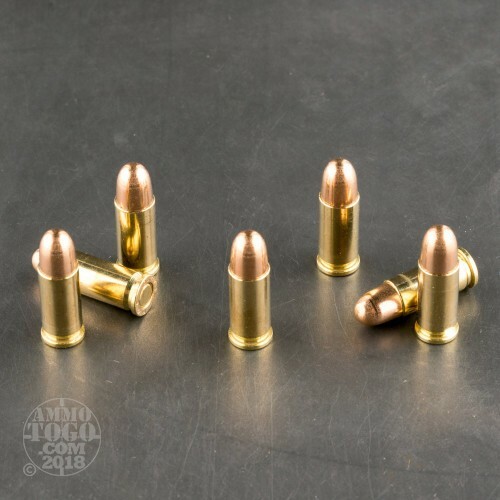 Provides smooth, reliable feeding in all types of semi-auto handguns. 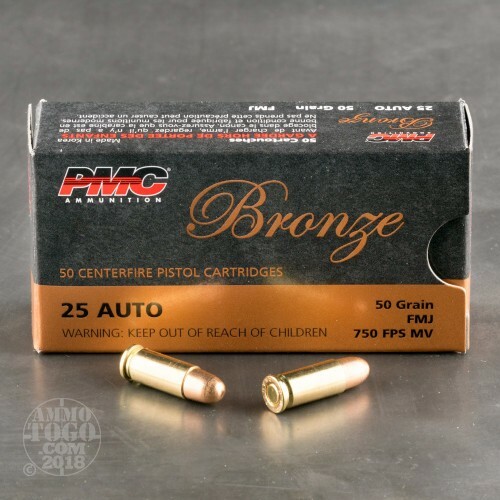 This ammo is packed in 50rd. boxes, 1000rds. per case.